Fig. 3. 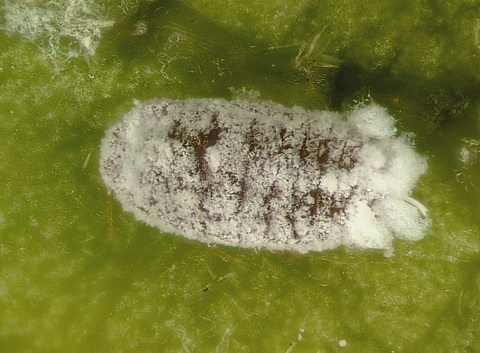 The pink hibiscus mealybug, M. hirsutus, showing two buttons of white wax. (Photo by L. Buss, University of Florida).